Prices vary, call 583-4933 for information. 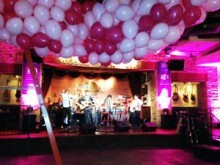 Make your next party memorable with a balloon drop - lots of variations! Click the button below to add the Balloon Drop to your wish list.